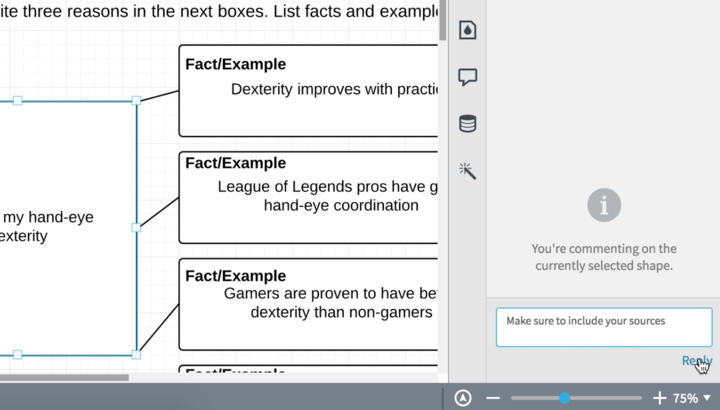 Bring the power of visual learning to the classroom! 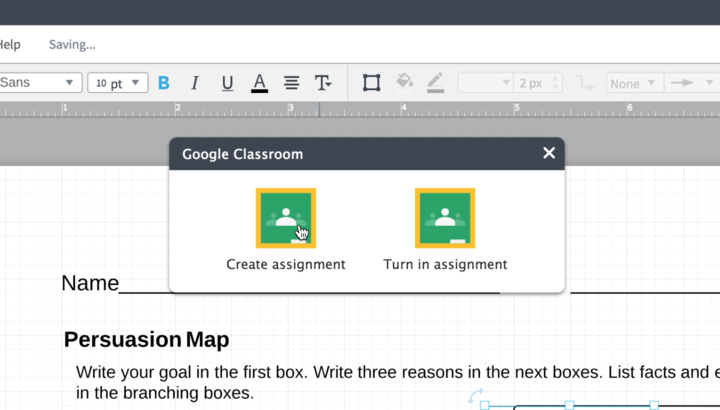 With our Google Classroom integration, teachers and students can easily create, share, submit, and grade Lucidchart assignments in Google Classroom. This integration is exclusively available for EDU Premium accounts. 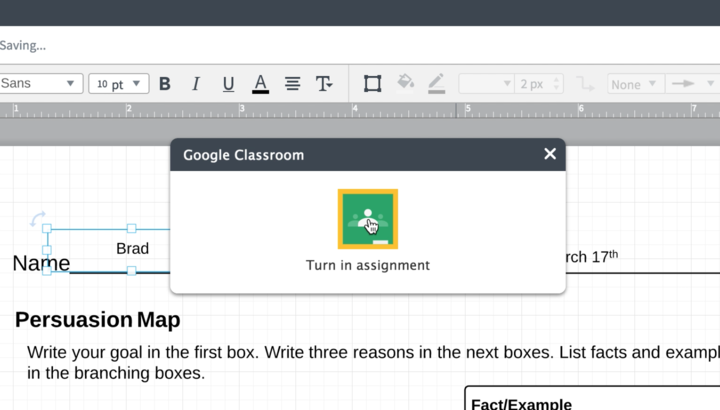 Teachers can create customized assignments in Lucidchart and seamlessly share them with students using the Google Classroom integration. Students can access assignments in their Google Classroom class stream, complete them in Lucidchart, and submit them for grading. Working visually can increase understanding and retention of new and complex topics. When students submit assignments, teachers can access the links in their Google Classroom class stream, view the assignment as a new document in their Lucidchart folder, and record grades in Google Classroom. Lucidchart’s intuitive interface makes it easy for both teachers and students to start diagramming. Students can demonstrate the concepts they’ve learned with mind maps, flowcharts, Venn diagrams, and other graphic organizers that are proven to increase student achievement. To set up the integration, simply access the team admin page and select the Google Classroom integration. If you don't have an EDU Premium account, contact our sales team. Interested in using Lucidchart at your school? 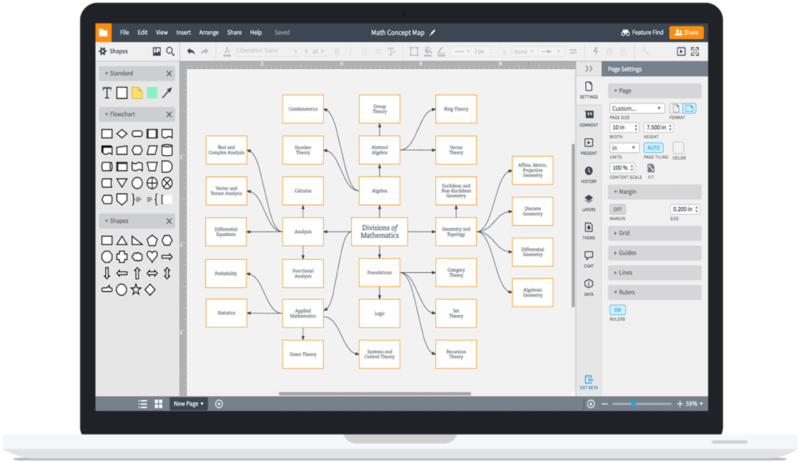 Call now and see why millions of students, teachers, and administrators trust Lucidchart for their educational diagrams.